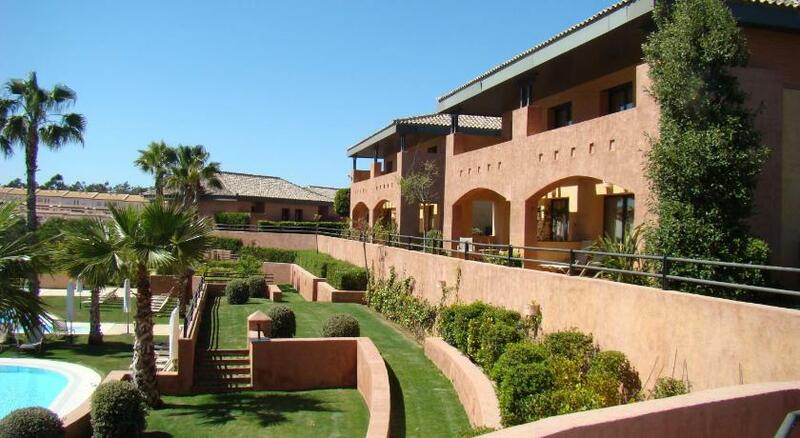 Islantilla Golf Resort is an exclusive complex located at 800 meters from the beach. 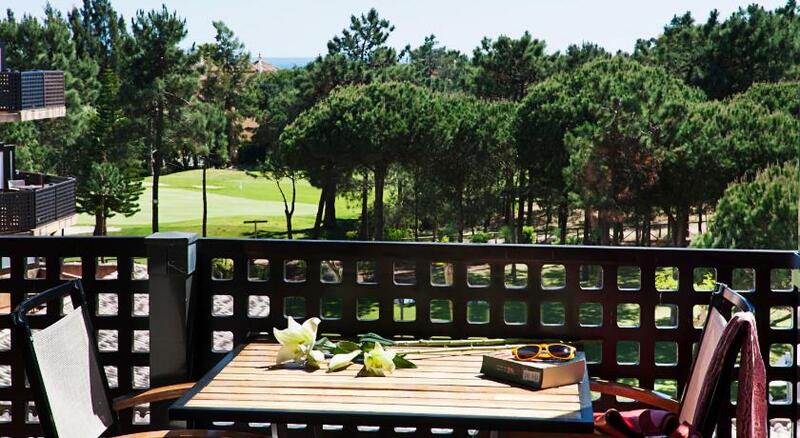 The hotel has a 27 hole golf course, a golf Academy and a green, 2 paddle courts and a mini-club for children. 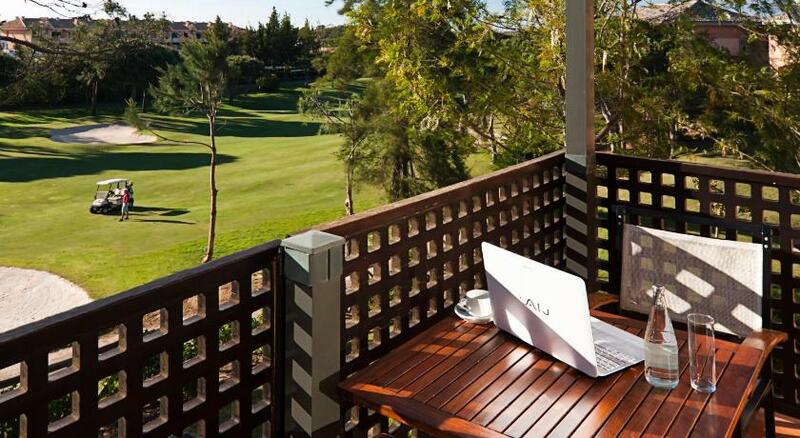 Islantilla Golf Resort offers customers free internet access, 4 restaurants, a spa, an outdoor swimming pool as well as a wide gastronomic offer which includes a complete buffet, Andalusian Grill Bar by the pool, an Italian restaurant, and a beach club with a wide terrace with sea views. 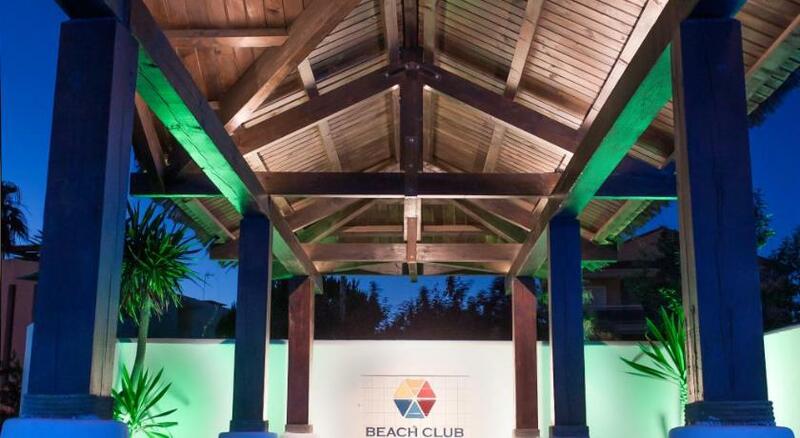 All rooms are air conditioned, with furnished private terraces and satellite TV. 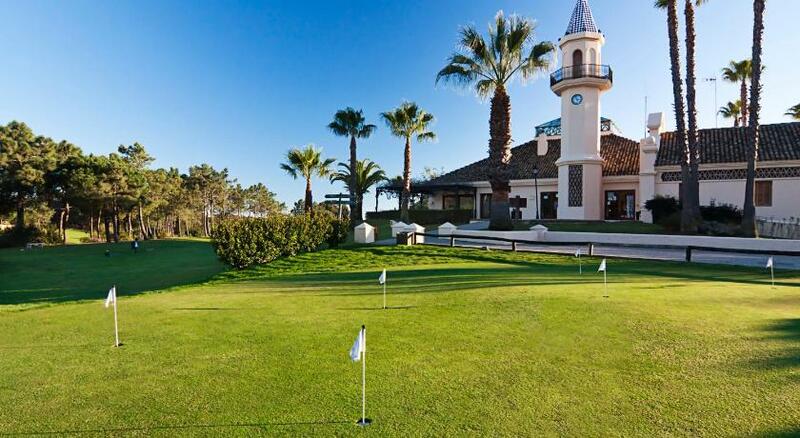 Islantilla Golf Resort is located at 19 km from the Portuguese border and at 50 km from Faro airport. 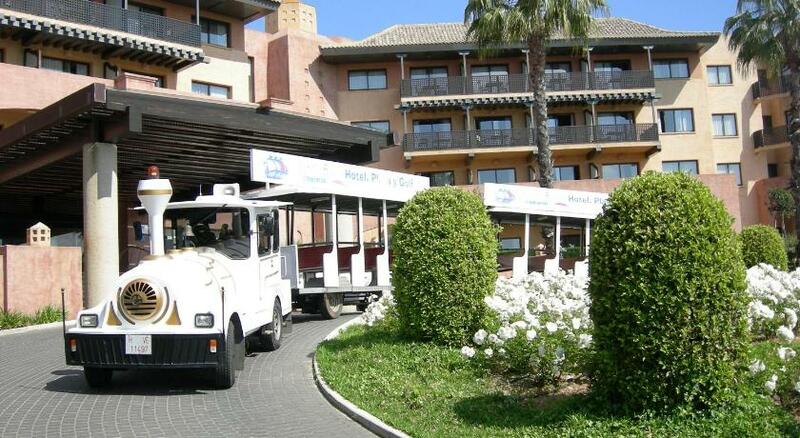 This hotel is the centre of leisure and tranquility to enjoy all year round. 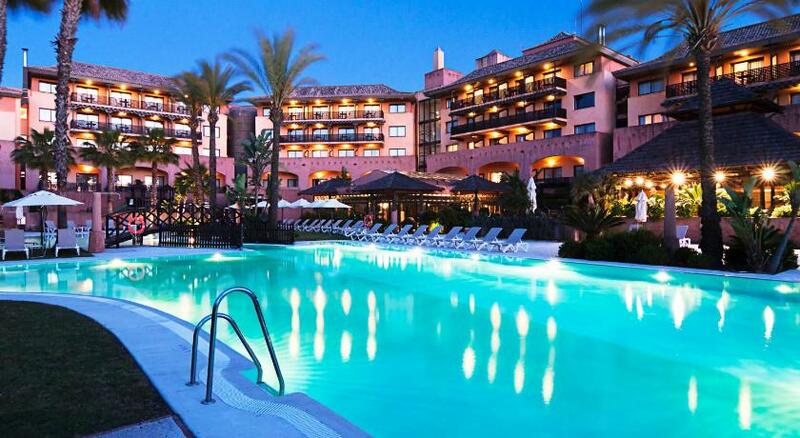 The area of Islantilla enjoys a privileged climate, with more than 300 days of sunshine per year, the proximity of the ocean and its unique design make this hotel a unique place to relax and enjoy nature, sports and leisure. 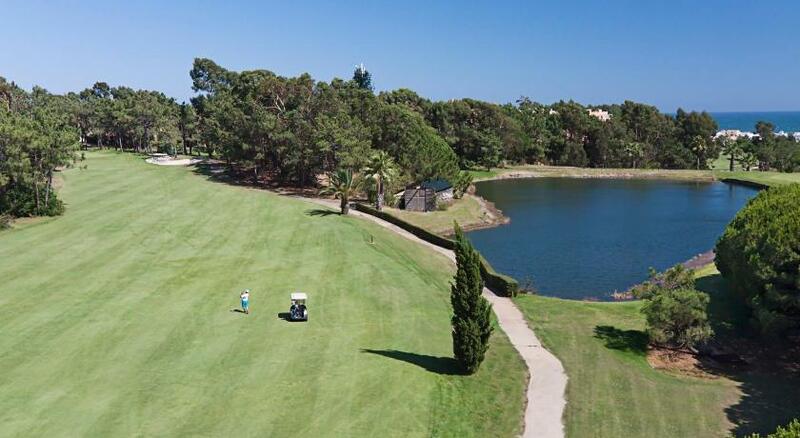 The area surrounding the golf course has beautiful flora and fauna, plus three 9 hole circuits that allow taking different paths everyday. 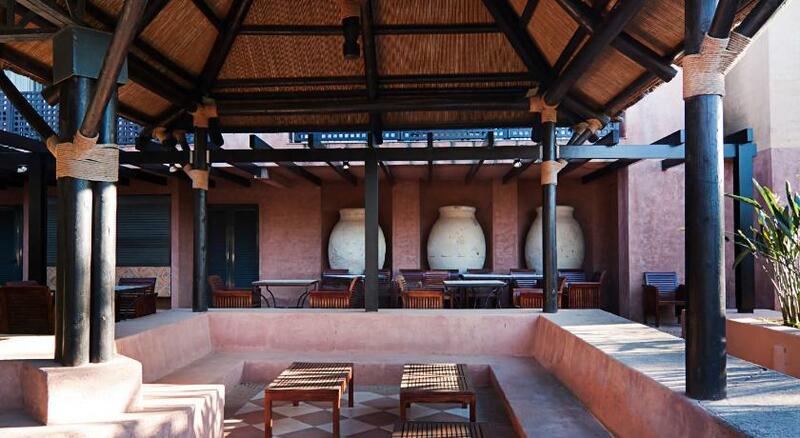 The hotel is very spacious and exterior with impeccable views, bungalows, gardens with outdoor and indoor pools, Spa, sports area, playground and counts with exquisite service. 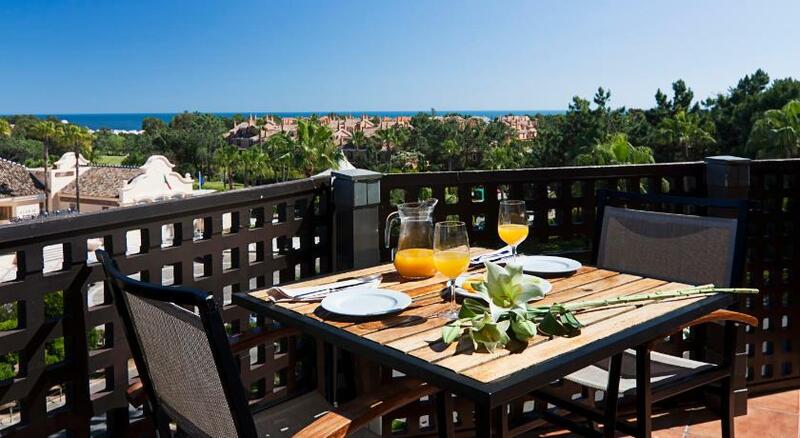 All this makes Islantilla Golf Resort, the optimal place to take a vacation or to celebrate a special occasion. The well known beaches of the Costa de la Luz, among those of Huelva, are wild beaches of pristine white sand and surrounded by palm trees and a beautiful beach club that is well equipped with restaurants, fresh water pools (one of them for children), and a renowned sailing club, where you can enjoy the tranquillity of the unspoilt beaches and a warm climate during the summer months. 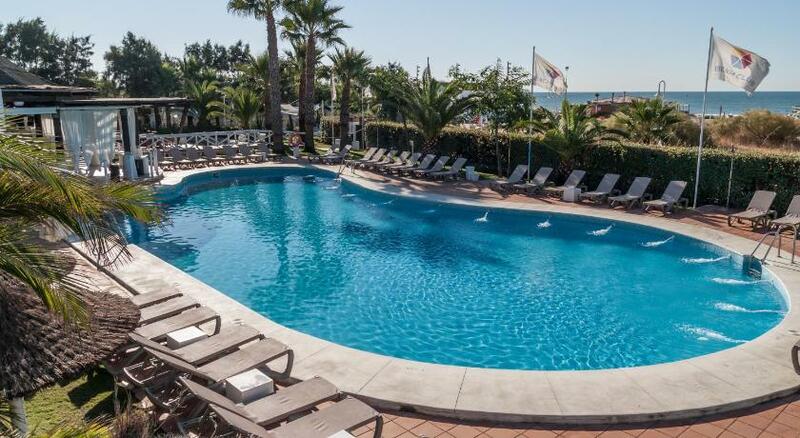 The hotel is located next to the Sierra de Huelva, highlighting the white and intimate villages, where you can visit mosques and castles, passing through natural parks. 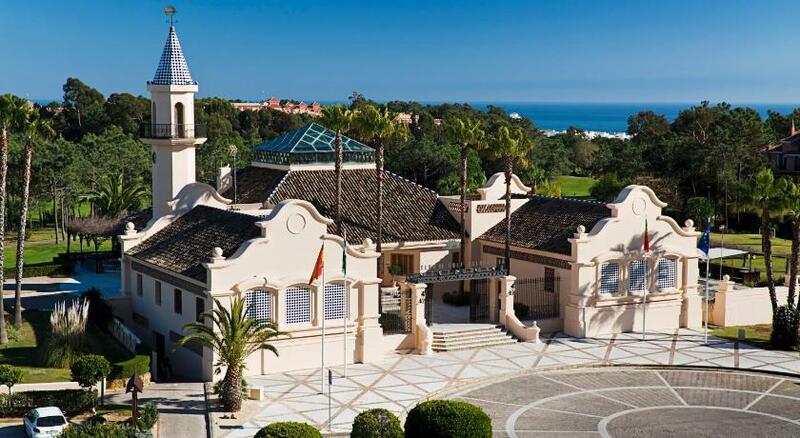 Another interesting site to visit are the mines of Rio Tinto or the cave of wonders, as well as the beautiful fishing villages and great historical sites of environmental importance such as the Columbus places and the spectacular National Park of Doñana. Huelva stands out for its cuisine and offers unique and incomparable products such as the Spanish Jabugo ham, or the exquisite Huelva white prawn.